BEST INDIVIDUALIZED MEAL PLANS...JUST FOR YOU! ​"Bring your family back to the dinner table and save money at the same time." Create a customized meal plan with recipe sizes adjusted to your family size, even if your family size is 1 or 15! Print a corresponding shopping list with the amounts of each ingredient you need in seconds. You can even add your desired snack, side and dessert recipes so you have all the ingredients you need without wasting anything! ​Let your kids look through the recipes with you. I let each of my kids pick a favorite recipe each week to add to our plan (great for helping to instill healthy eating habits! Generate meal plans as often as you want, any time you want so you can meal plan and shop when it is convenient for you. If you are really motivated, you could even pre-plan a month’s worth of meals and pre-cook them! Like having your own personal health coach in your kitchen! Real Plans gives you access to over 1500 carefully curated recipes to suit every taste and occasion. You will never have to worry about planning the right meal for any adult or child, or medical condition. Does your illness require a special diet? Are you always too worn out to plan nutritious meals to help you heal? No worries, you can get this incredible meal planner for as little as $6 a month! 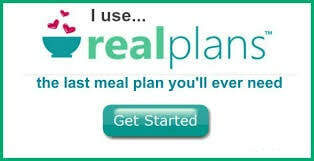 30 day money back guarantee for all Real Plans products purchased on this website. All subscriptions billed and renewed until cancelled. You can cancel at any time.